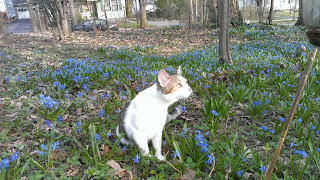 I think what today needs is a picture of a cute kitty in the middle of some spring flowers, don't you? Courtesy of my brother, here is one of his cats Porkchop! You may remember Porkchop, who is the younger and newer housemate of Oomi. 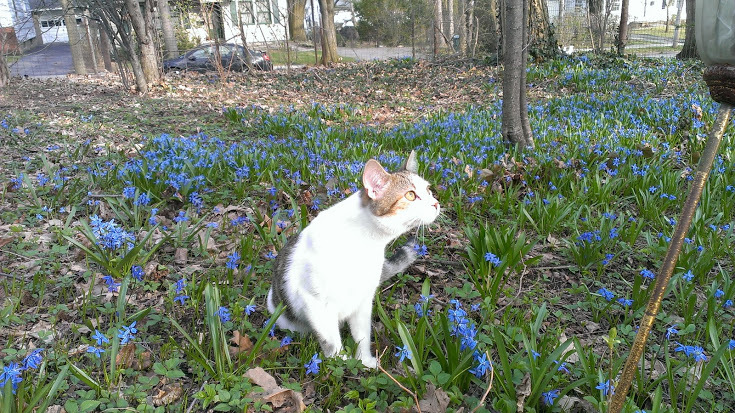 Porkchop recently had a little...operation, and now he is also free to roam outside!